One single picture can say what a thousand words cannot say. Such were then also the case with a number of pictures exhibiting the extreme suffering of the children caught up in the current Middle Eastern wars of Syria and Yemen. How can we ever forget the heart-breaking picture of the lifeless body of a refugee child that had washed up onto the shores of Greece? And just more recently beamed across the world by all the major news-media, it was the picture of a badly injured and bleeding young child sitting in the back of an ambulance, that had caught our attention. 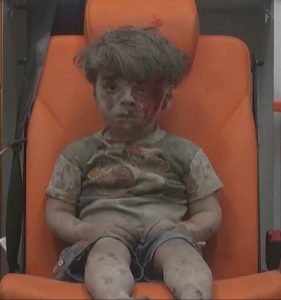 It was a Syrian child………a young boy in fact aged about 4 years old……. who was badly injured with a mass of blood covering his one eye and much of the clothes on his body. The particular picture was taken just as he was placed into the back of an ambulance. Rescuers had only just dug him out from under the rubble and after the house that he was living in had been bombed during an airstrike in Syria. Most of the occupants of the house………….almost his entire family………… were killed in the airstrike. The boy was the “lucky survivor”. There was however, something very, very wrong in the picture: Despite being so badly injured……… having just lost his entire family……………….. brothers, sisters and the parents………………. and having only moments ago been trapped under tons of rubble…………… the boy was not crying. He sat there all alone in the ambulance………………. quiet………. bewildered………. in obvious shock……… but despite the emotional and physical pain that he must have been bearing at that very moment……… he did not cry……………. not a single teardrop………. NOTHING! But that picture made me cry…………….and so too did many other people cry when they saw it in the media……. The human soul is tainted. It has become dark. We have failed COLLECTIVELY – and the Curriculum Vitae of the human race speak of the most despicable things that we had over time done to each other………. to nature………. to our oceans…………… to our wildlife……….. and to the planet Earth as a whole. And so indeed these days we find that there are very few “good stories” to tell. Almost everywhere to be seen in the World are conditions of severe hardship, suffering, hunger, disease, poverty, carnage, civil unrest, wars, utter confusion…………………….a world engulfed in total CHAOS & ANARCHY. And as if things are not already bad enough, many of the political leadership of the world are going about their business like a bunch of drunken fools – in several instances making decisions that are clearly dishonest, self-serving and of which defies all logic – but of which will dramatically impact upon our very lives; and upon the futures of our children and their children………………if indeed there is any “future” left at all. Hence so many are experiencing an ominous, foreboding sense of ANTICIPATION that something “Big and very Bad” is about to go wrong. 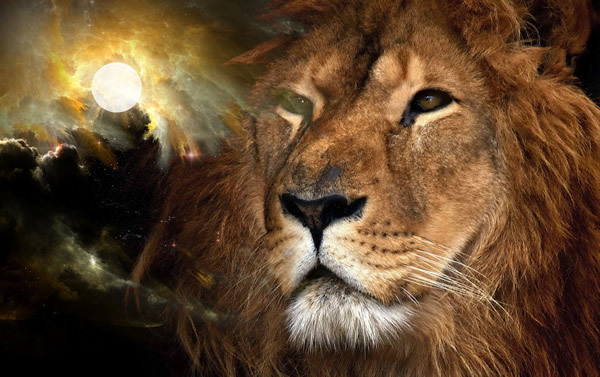 The World is in TROUBLE………..in fact in very DEEP TROUBLE. Who are we trying to fool – that is the truth, and the truth is that simple. God is being “banned” from schools and other public places. The obvious consequences of our reckless behavior and obsession with industrialization, globalization, creating obscene personal wealth and waging wars – being that we are now starting to pay the price…………. and things are about to take a turn for the worst. When will we human beings realize that life is not all about our fancy cars, fancy houses or the size of our wallets? It is not about the very contagious “me, me and only me syndrome” that so many people are currently suffering from in the World.